Beginner’s puzzling fun guaranteed! 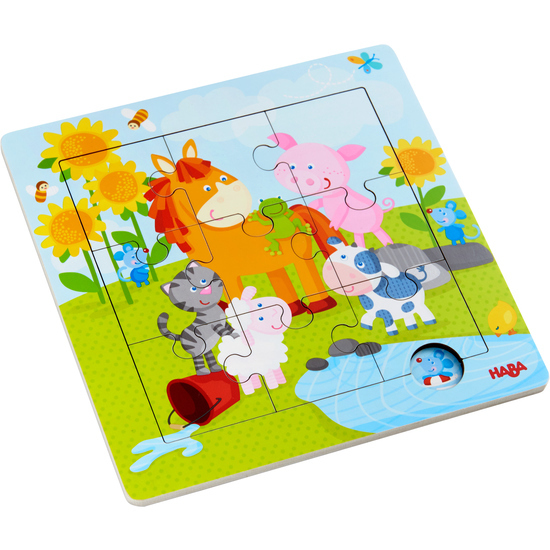 The amusing animal friend motif is on the sturdy wooden puzzle board with frame, so everything stays in the right place. The practical recess makes it child’s play to remove the wooden pieces from the frame.